CLEARANCE 48 UNITS - BARGAIN!! Seas P21RE/P H0942-08 Woofer. 2015 Remake of the classic H0313. Fs 33 Hz. 89 dB. 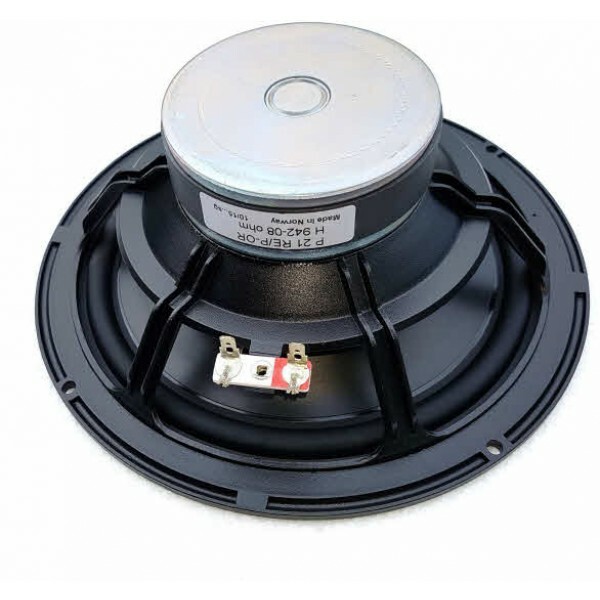 8" High Fidelity polypropylene woofer with phase plug, and injection moulded metal chassis. 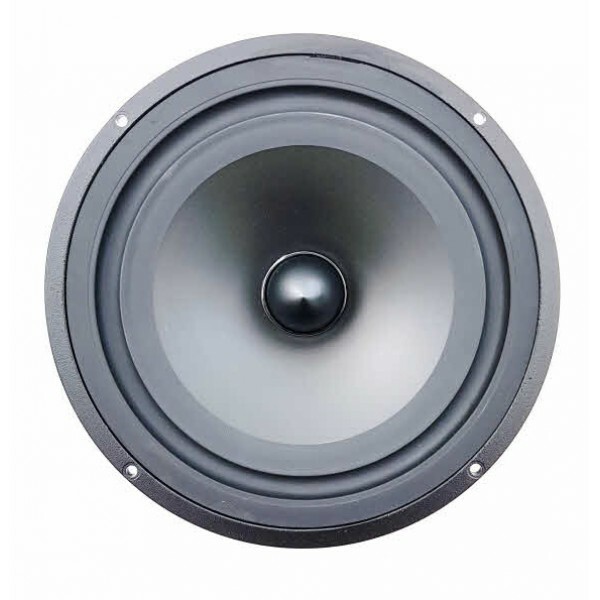 The P 21 RE is an efficient, low coloration polypropylene woofer with a magnet system designed to minimize low frequency distortion, reduce IM and handle high power levels. Although primarily intended for use in medium-sized closed box enclosures, the special suspension stiffness characteristic makes it suitable for bass reflex cabinets as well, reducing the delayed excursions typical in bass reflex systems at high power levels.